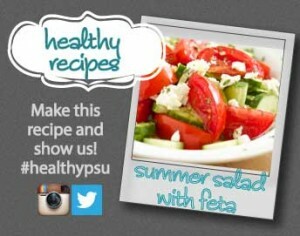 It may be getting colder outside, but you can still reminisce about the summertime with this salad recipe. idants that can lower your “bad” cholesterol (LDL) without affecting your “good” cholesterol (HDL). Make sure you buy extra-virgin olive oil instead of light olive oil, which is usually more processed. Toss together the tomatoes, cucumber, salt, pepper, vinegar and olive oil. Add the feta cheese and mint and toss again. Taste, adjust the seasonings as desired, and serve.